Below are the services and solutions Creative Hospitality provides. At CH, we have been serving the hospitality industry since 1995 and aim to provide the same convenient, quality service that has made us a leader in the our field. The mission of CH is to understand your goals and objectives, and provide you with customized services that enable you to get the most from your foodservice operation. CH is an attractive solution to your foodservice operational needs; it allows you to overcome your time constraints, lack of resources, or need for specific expertise. Getting the right advice is critical. We have excelled in making our customers successful by capitalizing on your core values and our key strengths! CH specializes in the rejuvenation of distressed or challenged brands; our comprehensive approach involves all aspects of the restaurant, from administrative to operational, identifying specific areas of opportunity and developing efficient and cost effective strategies to maximize margins, reduce costs and improve profitability. CH provides operational and turnaround management services to a diverse group of concepts ranging from quick service restaurants to fine dining establishments. 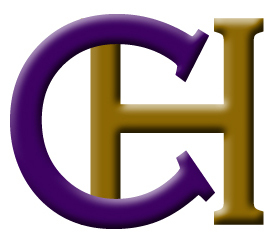 CH’s consulting and design teams will develop a general project overview, preliminary project direction, theme, stylistic direction, menu direction, price points, and required support services. We utilize information obtained from meeting with clients concerning their ideas, desires and ambitions for the business. Based upon these discussions and our analysis of the market, concepts for service style, menu formats and ambiance will be developed. Many critical operating components are considered for optimum appeal within defined cost limitations. Consideration is given to theme, price points, menu and required support services. Emphasis is on presentation, entertainment value, quality food, retail sales within the space, and service suitable for the concept. We also complete a basic menu profile to facilitate the programming of the kitchen and storage areas. The information derived from this step will be essential for guiding the interior design and food facilities design process as it will be used to create a verbal description of the intended facility. The interior design and ambiance that is created within this space is essential to the financial success and overall image of the business. When all of the elements discussed in this phase are completed, they are organized into a comprehensive presentation to the client. Discussions and recommendations are encouraged and modifications made. Because a feasibility study serves as the foundation for the Business Plan, we cannot develop a Business Plan for a project unless we have conducted a feasibility study. On occasion, we can use feasibility data compiled by the client or another party, however we always must supplement the information we are provided. As specialists in the hospitality industry with years of focused education and experience, our feasibility studies are comprehensive and more reliable than those produced by generalists. We document all of our work below in a written report and present our findings and recommendations to the client. Our work includes the following: Site Analysis, Data Collection and Research Development of Assumptions and Revenue Projections Profit and Loss Statements and Break-Even Analysis Documentation and Presentation. Business Plan is a description of your business that includes your product, your market, your organization and people, and financial needs and objectives. A well-prepared plan serves a dual role as it defines your goals and objectives and serves as a tool for management. Moreover, it is a vital sales tool used in soliciting capital. Using the information CH gathers in a feasibility study we prepare a comprehensive Business Plan that achieves these goals and will be suitable for use as a Private Placement Offering or other means of financing, depending upon the structure you seek. In short, competitive intelligence (CI) is the purposeful and coordinated monitoring of your competitor(s), wherever and whoever they may be, within a specific marketplace… Your “competitors” are those foodservice operations which you consider rivals in business, and with whom you compete for market share. CI also has to do with determining what your business rivals WILL DO before they do it. Strategically, to gain foreknowledge of your competitor’s plans and to plan your business strategy to countervail their plans. As you might expect, this will involve many methods at the tactical collection level, but it will also require integration into your existing information infrastructure, analysis and distribution of the information, and finally, the calculation of business decisions on the grounds of that information and the analysis of same. This is the “intelligence” part of the formula. Using information on the desired concept, we prepare a written program outlining the desired facility. The program: defines the goals and objectives for the design; describes the operational and functional characteristics; evaluates and confirms spatial requirements and relationships; further describes menu profiles and serving methods; establishes seating type, arrangement, and required seating capacity; and creates a preliminary list of equipment. Additional services that can be provided include artistic presentation renderings of the conceptual design for the facility as well as preparation of dimension mechanical, electrical, and plumbing utility rough-in drawings to indicate the utility installation locations for each item of bar and foodservice equipment. Although these drawings are usually provided by the successful equipment contractor, a project’s construction schedule frequently requires that they be provided in advance of the equipment contractor’s selection. Creative Hospitality has the capability to perform the services necessary to detail the entire operational plan for the facility. It is essential that the organization structure be well planned and flexible as you establish your new business. 3. Provide employees at all levels with information and resources necessary to do their jobs in the most effective manner, including monitoring their actual job performance; create job performance measurement standards that are compatible with your organization’s objectives and goals; and create incentive-based budgeting objectives to motivate your management to perform as well as they can. d. Design of jobs: grouping decisions into job descriptions, assigning responsibility for them, identifying those decisions that are to be made by groups, and specifying the organization of group decision making process; and development of: measures of performance, procedures for making the measurements, and disseminating and using the results, and incentive systems for motivating personnel to perform as well as they can. To achieve the above objectives, we work with clients closely in the development of all objectives, utilizing our experience in the hospitality industry. During this phase of our assignment, we look to create guidelines and systems that will promote and enhance an efficient and profitable operation. Management systems will be designed to utilize point-of sale (POS) and other computer systems and any other information available to produce a streamlined system for producing operational objectives as well as providing timely reporting to owners and investors. We make recommendations regarding the organization and the management structure of the operation. Administrative policies are documented to provide a basis for efficient and productive management of the facility. Creative Hospitality will determine appropriate staffing levels for each shift based on anticipated business, hours of operation, and desired method for service. All work schedules for each department are included. Staffing requirements include recommended pay scales for all departments in accordance with desired payroll cost targets. We can assist in the selection of management personnel as well as in the hiring and training of all employees, depending upon your needs. Using the generic menu creation in previous phases, a specific menu is written. The menu takes into account all parameters beginning with the market, proposed production capability, service style, product merchandising and plating requirements. In addition to an initial menu for opening, a menu plan is developed that specifies the timing of menu changes due to either seasonal or price influences and include the use of daily specials. We will also work with graphic designers on the formatting to be used as well as the layout and design. Upon completion of the previous step, we prepare all product specifications for purchasing along with standardized recipes that are representative of an efficient production system. A product specifications manual is created to facilitate the bidding and selection of purveyors for the major product categories. The recipes are documented and contained in a three-ring binder for use by management and staff. Recipes consider ease of preparation, simplification of training, maintenance of accepted quality standards, and control of waste. Recipes are costed, taking into account food prices and market conditions in order to price the menus and achieve the project’s targeted food cost. During this phase we consider the following: Implementation of the training process for production and preparation personnel; Ease of preparation in order to reduce labor expense and skill requirements of staff; An efficient format for kitchen staff; Maintenance of a specified target raw cost of goods percentage; Control of waste and spoilage in addition to maximizing use of product through effective daily production practices; and Efficiency in the use of production and preparation equipment. A sound purchasing system begins with sound policies implemented through systematic procedures. Careful planning, strong internal controls and cost-efficient practices such as bulk purchasing and price/bid solicitation provide the framework for the efficient procurement of goods and services. An effective purchasing system allows a foodservice operation to provide quality food, beverages, materials, supplies, and equipment in the right quantity in a timely, cost-effective manner. Purchasing includes those activities involved in the identification and purchase of supplies, equipment and services needed by the operation, as well as the storage and distribution of goods. Goods and services must be obtained according to the specifications of the users; at the lowest possible cost. This module focuses on the overall purchasing system including purchase order procedures, storage procedures, sanitation standards, bidding practices, internal controls, warehousing, and integration of systems. Operations and Control Manuals, suitable for the operation, are prepared and submitted as part of the final package. The control manuals address the following areas: Administration Staffing Inventory Control Production and Service Systems Cash Control Procedures Personnel Policies and Procedures Management Information Systems Sanitation, Safety and Maintenance These tools provide a comprehensive, consistent source of reference for operating policies and procedures. The manuals provide management with tools to ensure continuity as the operation grows. A detailed training program which is both reasonable and effective is developed. The major emphasis is placed on developing a positive attitude among those individuals who are in the public view. Training systems are written to accommodate the average skill level of the line employee. Training systems are written to accommodate the average skill level of the line employee. The training program includes all topics required for the various positions in both the front-of-the-house (Dining room & Lounge) as well as the back-of-the-house (Kitchen and Service area), from dishwasher to manager, in a step-by- step training method. Topics are broken into discrete learning blocks and are reinforced, where possible, by testing. Topics addressed in this training program include: Food service techniques Beverage service techniques Suggestive selling techniques Food handling and preparation Dining room service duties Dish and pot-washing Personal hygiene Food merchandising Sanitation and Safety Cash handling responsibilities and techniques. Management techniques including operation of POS systems, income, inventory and cash controls, accounting procedures, and all facets of operation contained in the manuals and new employee indoctrination or handbook. It is essential to building a high-quality staff that you provide employees with the knowledge they require by teaching them the skills demanded by the position and creating a positive attitude. Our basic training approach is to: Define training needs; Plan training process; Prepare employees; Conduct training; Evaluate trainees; and Provide management with follow-through techniques. Additionally, we prepare: Job lists for each position in the restaurant; Job breakdowns for each task assigned to the job lists; Job descriptions for each position; and Job performance standards to be used in evaluations. The net result of this phase will be the creation of job training booklets, tests, and answers to tests in a programmed learning format. Where appropriate, audiovisual aids may be used consisting of slides or taped presentations showing workers in the environment in which they will be placed. This is to assure that the training program will be geared to all levels of employees in the most effective format. Also, employee handbooks will be useful in orientating new personnel to the policies and procedures and will be an outgrowth of this work. Creative Hospitality will work with you to review the selection of furnishings, tabletop service wares, small wares, and cooking utensils. Our interest is to make sure costs are kept within your capital budget, that materials and finishes are practical from a maintenance standpoint, and that selections made do not adversely affect the day-to-day operations, particularly in the area of staffing and payroll costs. An effective and workable control system will be developed for the restaurant. Appropriate point-of-sale systems will be evaluated and recommendations will be made to ensure that the control functions are accomplished. We provide a written specification for the system that most suits the project’s needs. We solicit and present proposals from company’s representative of state-of-the-art systems meeting the requirements of the facility. In addition, we assist in implementing the training of employees on the selected system during pre-opening. Our staff can assist in selecting uniforms for all service staff in coordination with graphic designers. We make specific recommendations regarding appropriate dress for employees in both the front and back of- the-house and establish policies with regard to the cost to be incurred by the restaurant as well as the employees. We can provide you with resumes of suitable candidates to fill your management positions. We then arrange and participate in an interview process making recommendations to you on the candidates that best suit your needs. We advise you on suitable compensation and benefit packages that fit within your projected budget and meet the needs of the individual skills displayed by each candidate. Our search effort will be on a global level utilizing our contacts and affiliations in the hospitality industry. We present you with two to three candidates for each management position that must be filled. You receive from our initial search resumes and references along with a written report outlining the strengths and weaknesses of each candidate presented. We can also assist in the selection of a management company through a request for proposal process. We can work with you to develop a pre-opening plan for the opening of your facility. This plan will include a pre-opening schedule, providing a time line of events that must take place up until the time of opening. This plan will assign responsibilities to the individuals participating in the opening. We also create necessary budgets for pre-opening hiring and training, inventories, promotion and marketing, and soft opening as well as grand opening festivities. We assist in hiring and training of all personnel. Additionally, we include preparation of job descriptions and profiles, development of staffing charts, preparation of payroll cost budgets, hiring schedules, and assistance in recruitment. Our search effort will be on a global level utilizing our contacts and affiliations in the hospitality industry. We present you with two to three candidates for each management position that must be filled. You receive from our initial search resumes and references along with a written report outlining the strengths and weaknesses of each candidate presented. We can also assist in the selection of a management company through a thorough a request for proposal process. CH will schedule and supervise all pre-opening activities such as staff training and “soft” openings. We also will provide “hands on” supervision of all opening activities to ensure that management, staff and all operations are working effectively. Creative Hospitality will develop a marketing and communications program that will draw attention and customers to your restaurant. Our services includes researching effective marketing strategies and channels for your geographic area, budgeting, development of a written marketing plan, and assisting management in its implementation. Key marketing channels include public relations and advertising. We also can create a World-Wide-Web site that contains information on your restaurant, its location, menus, pictures and planned special events. Creative Hospitality can provide follow up services to ensure that your business maintains a course of profitability. Services include operations audits and overviews; cost reviews, analysis of ratios to industry standards, and monthly financial reporting and analysis. As an integral part of the initial implementation, we can establish a plan to meet with you each subsequent month to critique the operating statements during the period. In addition, through our Continuing Management Assistance program, we provide you with information and recommendations on a continuing basis in the areas of operations, reporting and controls, organization, personnel, and planning. Within these areas, we apply our knowledge, skills, and experience to your specific situation. 1. Weekly Review: During the first month of operation, we will are in contact with the operation, monitoring all the systems and procedures that we have established. We assist your manager and other management personnel with any problems that can be solved. 2. Monthly Review: Copies of certain management reports established as part of the operating system are forwarded to our offices for review and comment. This procedure begins with the first month of operation. 3. Quarterly Review: Every three months, members of our professional staff make a physical inspection of the food and beverage facilities, review reports and records, and furnish your organization with a written evaluation of our observations with recommendations of the course of action required. This is particularly important following the initial month where weekly reviews are being conducted. Can I franchise my business is one of the most frequently asked questions in both small business and corporate groups and CH can assist you with your endeavor. A franchise system requires the development of the economic and commercial structure, the commercial policies, recruitment and training processes, network roll out plan, legal documentation, business systems and the operations infrastructure. The quality of the franchise system has a significant impact on the future success of the franchise due to the influence the franchise system has on the core business and its ability to scale. Franchising is one of the most sophisticated business models in existence and its purpose ranges from capital raising and customer service, to a sophisticated people management strategy. It is a business model widely recognized as a growth strategy for small and medium business and increasingly a business strategy for large corporate to enhance service and tenure of the best people.